How do I remove the 14Fathoms right click menu from non-14Fathoms files? Sometimes, you might find the right click menu options specific to a 14Fathoms file show up in non-14Fathoms’ Excel sheets. This can can occur if the Scope Sheet or Bid List closes unexpectedly. When the file force closes it doesn’t have a chance to run the code to remove the right click menus from Excel so they may show up in non-14Fathoms files. Open a 14Fathoms project file (any Scope Sheet or Bid List, but not a master template). Enable macros and let the file load completely. Click the “Refresh Macros” button in the toolbar. Close the 14Fathoms file completely. 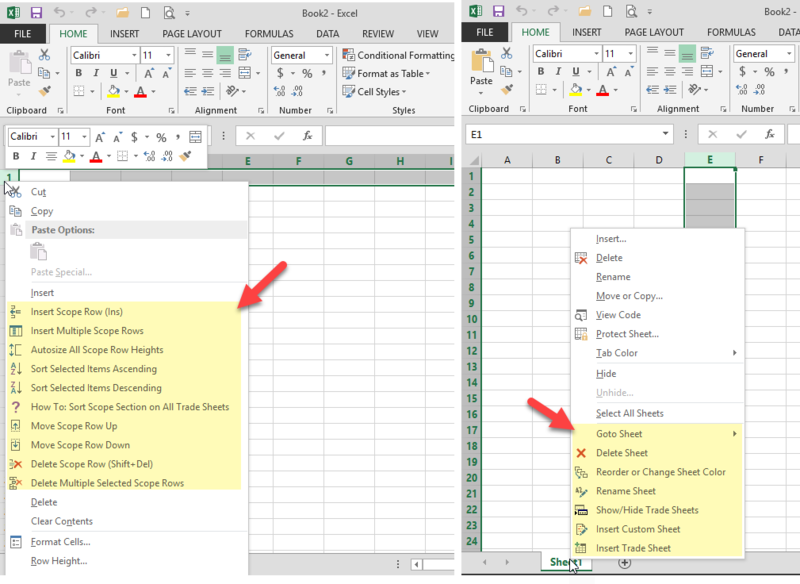 Assuming the 14Fathoms’ file opens and closes without issue the right click menus should go away when you reopen Excel. If the options don’t go away, download this file RemoveAll14FRightClickMenus.zip, unzip it, open the file, enable macros, and following the instructions. It will reset all the right click menu options. If you find the products force closing often, contact us to help troubleshoot. ← What routine maintenance does my Master Bid List need?